Not everyone has to quit a six-figure corporate job, sell off cars, auction jewelry, and donate half their wardrobe to charity like I have, but it sure would be cool if they did. Day in and day out I drove to my office and felt the air turn stale and the sun dim as I walked through the doors. Something was off in my life but I couldn’t quite put my finger on it. Why were the words “I quit” on my breath every time I was in my boss’ office? By social definition, I had it all, yet I was miserable. Something had to give. · Seek out beautiful free experiences. The image of my children running at the park laughing in the sun was my biggest motivation to leave the corporate soul-crushing behind. I was happiest in that scene and it was free and beautiful. I now seek out as many beautiful free experiences as I can and live in the moment. If family is at the top of your priority list, it’s time to assess exactly how much of your time is dedicated to being with them. I am talking real, tuned-in time, not piano lessons and plastic toys. Build something, take a walk, cook a meal, or simply talk with your loved ones. Nothing could be easier, more rewarding, or cheaper than time spent. o I have four pairs of uncomfortable pointed-toe high heels that I spent $200 on ($50 each) and never wear. The pointy-toe trend is long gone and I should have listened to my gut instinct when I tried on a tasteful pair of comfortable $80 black leather pumps. Following trends is a dangerous financial pitfall that many women fall into daily. The minimalist me tends to favor the color black, classic cuts, real metals, and sturdy construction that is going to last. If I am feeling especially frivolous (a rare occurrence) I might purchase an accessory to snazz up my black clothing. Favoring one high-quality, timeless item over many mediocre trends equates to smart financial planning over the long-term. The goal is to use something for years, not months. No longer do we live in a world where forty years at IBM wearing a white shirt and black tie equates to fulfillment. I question if corporate institutionalization ever created fulfillment, but it was what we knew and had access to. Today, the game has changed. Time and space are no match for technology as a global village collides. A shift in social priorities appears to favor time and happiness over money. I encourage every woman to seriously analyze how her priorities align with her habits. If family is what you cherish, spend time – not money. The United States Geological Survey has provided scientific data about the earthquake that rocked Haiti on January 12. This information can be viewed at the USGS Earthquake Hazards Program website. The information includes a downloadable poster with maps, historical earthquake information for the Caribbean region, and more. Featured in Wired Science this research is being led by Patrick McGuire, a scientist in the Department of Geophysical Sciences. The full research research paper was published in arxiv.org a freely available repository of scientific e-prints in physics, mathematics, computer science, quantitative biology, and quantitative finance and statistics. 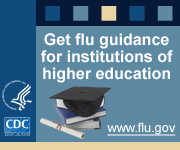 With flu season just around the corner, check out the Center for Disease Control's H1N1 flu information site at http://www.cdc.gov/h1n1flu/. The site features uptodate maps of confirmed cases, Q&A about flu vaccines, guidelines for flu prevention, and more. The Complete Dictionary of Scientific Biography, a 26-volume reference eBook, contains biographies of mathematicians and natural scientists from many countries across historical periods. It includes narrative scientific biographies, which detail the achievements and personalities behind the quest to understand the natural world. The Complete Dictionary of Scientific Biography, through a special arrangement with the American Council of Learned Societies, is comprised of the New Dictionary of Scientific Biography along with the original, 18-volume Dictionary of Scientific Biography. Published by Charles Scribner's Sons. Looking for a biomedical research technique for the lab? Find it in CSH Protocols. CSH (Cold Spring Harbor) Protocols is a is continuously expanded and updated database of new and classic laboratory research techniques. CSH Protocols provides authoritative and reliable methods presented in a step-by-step fashion. Coverage includes molecular and cellular biology, genetics, bioinformatics, immunology, neuroscience, protein science, imaging, and many other subject areas. The database is searchable by keyword and subject, and has features such as discussion forums and personal folders. Find more protocols with the Database Finder. Find key property data needed for calculations and experiments with the CRC Handbook of Chemistry and Physics. The CRC Handbook contains physical constants and formulas, properties of elements and organic and inorganic compounds, and much more. This classic reference source spans the physical sciences and is revised annually to reflect new areas of importance. Find more chemistry reference sources and physics reference sources with the Database Finder.